On August 19, the IBA assisted in coordinating a roundtable discussion with U.S. Congressman Steve Pearce in Santa Teresa. 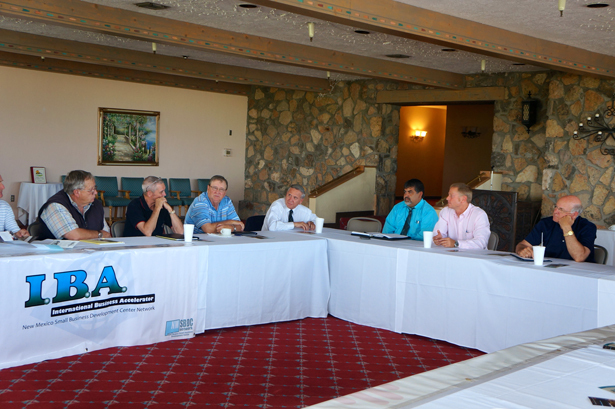 Homebuilders and developers from the Santa Teresa/Sunland Park region were invited to participate and discuss issues concerning growth in the region, as well as legislation that affects the construction industry and homeownership. Approximately twenty representatives from different companies attended the meeting. Subjects discussed during the meeting included the federal sequestration, immigration reform, EPA regulations and construction of more access roads to Santa Teresa. Congressman Pearce was very pleased to have had the opportunity to speak with these companies and to talk about the successes and challenges the Santa Teresa/Sunland Park region has faced in recent years. The objective of this roundtable was to determine solutions and provide assistance to those issues that need to be addressed. According to Congressman Pearce, the Santa Teresa/Sunland Park Region has had very noticeable economic growth and he is looking forward to returning soon.